Those of you who have read my monthly posts on seasonal foods will know that I’m a big fan of eating food when it is at its freshest and best – that is to say, when it’s in season. This year, more for my own interest than anything else, I’ve started to keep a food diary, recording our evening meal each day so that I can refer back, both for inspiration and for sheer curiosity. 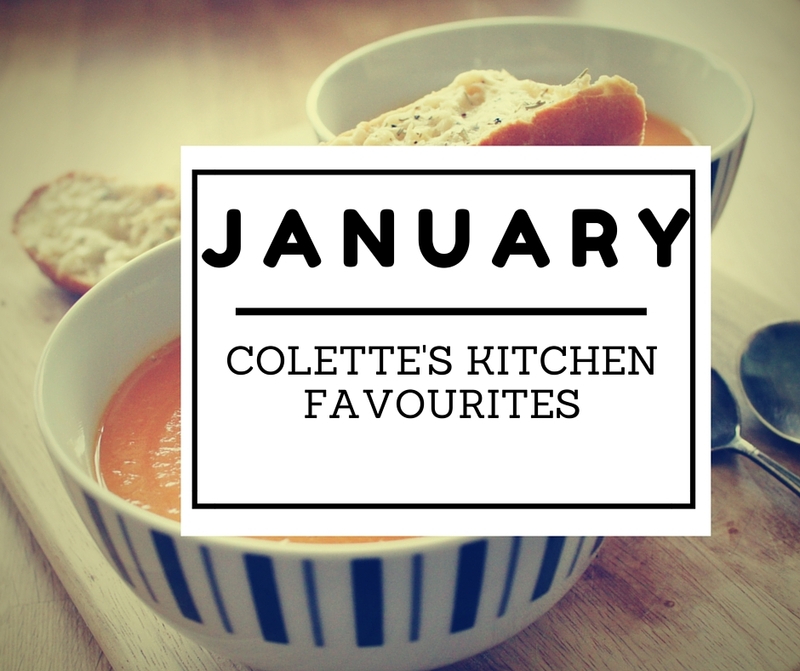 I’m pretty sure getting into a food rut isn’t a problem that’s unique to me so I’ve decided that each month I’ll share a few of our family favourites from the previous one in the hope that it may spark a few ideas or even inspire you to try something new. Some may be seasonal, others just something from a much loved cook book or even a family favourite passed down from my Mum. We’re not Scottish but I can’t let Burn’s Night pass by without making the most of an excellent excuse (as if I need one) to eat haggis. Now, if you’re one of those people who crinkles their nose in disgust at the thought of haggis – then take my advice and don’t think! It tastes like beautifully spiced mince. It’s warming, comforting and I love the stuff. We eat it with: Mashed potato, Marrowfat peas and gravy. This was the perfect recipe book for me in January. It’s full of simple, nutritious meals. The kind that are comforting enough for even the coldest of January days, but also full of great ingredients that you can feel doing you good and restoring you after the festive season of excess. …a simple, spicy pasta dish with tomatoes and crispy bacon. Quick to make and with a kick that warms you through to your cockles (to use the medical term). This is a lovely, simple way to cook fish. The flavours are subtle, but fragrant and delicious. Beautiful fillets of cod are coated in a spiced yoghurt that is speckled with mustard seeds which add a satisfying crunch. The dahl is the perfect accompaniment and if possible, it’s even easier. Just lentils, coconut water, a cinnamon stick and cardamom pods make up this lovely little side dish. When I first presented this to hubby, it was with a certain amount of trepidation. No meat, just a plate of cauliflower and chickpeas. Somehow though, this combination of a few simple ingredients just works. I mean, really works! Even hubby is converted and has since asked to have it again. As the book’s title suggests, this recipe is simple. It’s also delicious, filling – and super healthy. Hurrah!